Looking for a great gift for a dad who loves football? 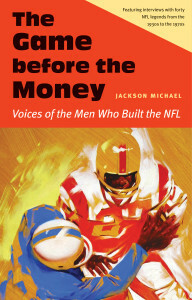 The Game before the Money: Voices of the Men Who Built the NFL makes an outstanding gift. Any fan would love to experience NFL history through the eyes of legends, and this book provides an All-Access pass to the action. Thank you and Happy Father’s Day 2018!